Unused items that might be sitting in some corner of your home, taking space can be used for these DIY home organization ideas! 1. 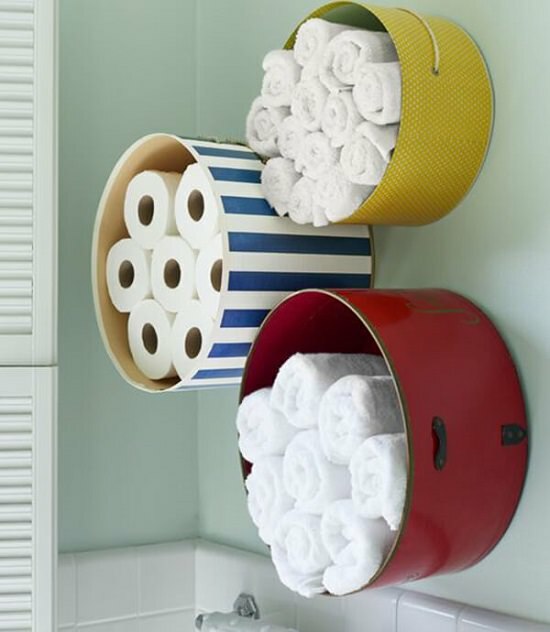 Turn hatboxes into bathroom storage. These gussied-up “shelves” free up bathroom drawers and counter space, offer easy access to extra towels and toiletries and add peppy color to boot. Just choose boxes that are 10 to 12 inches deep and nail the backs to the wall. 2. 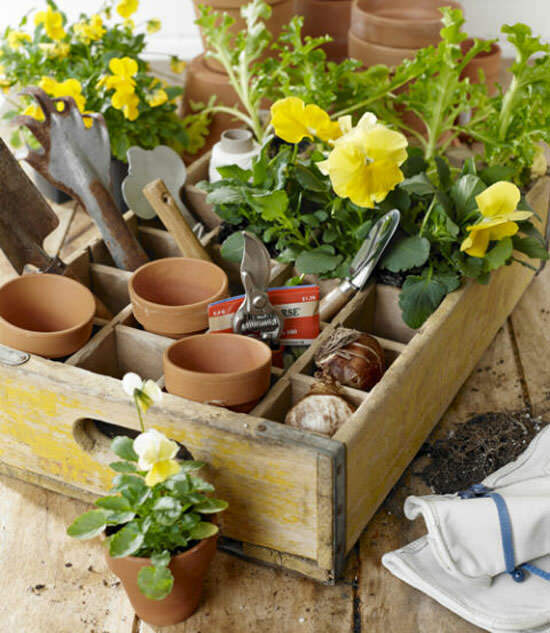 Turn a soda crate into a potting caddy. No more trips back and forth to the garden shed. With its dividers still intact, this rustic soda crate is ideal for toting around supplies, like 1 3/4-inch terra-cotta pots, bulbs, seed packets, and clippers. 3. 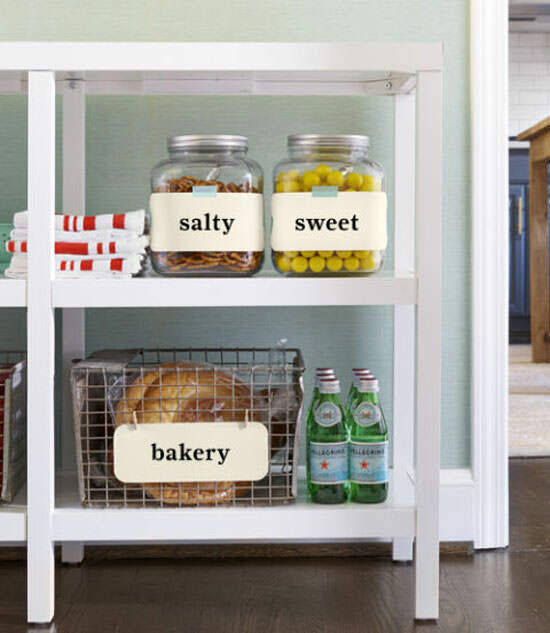 Turn school flashcards into pantry labels. Here’s how to earn an A+ in the home organization: Catalog food storage containers with vintage flashcards—a nostalgic nod to childhood school days. Affix the cards to glass jars with decorative washi tape and metal crates with miniature clothespins. Fill to the brim with your favorite goodies.